April 11th is observed as World Parkinson’s Day every year. The aim is to raise awareness about the condition to the general public and also for those in suffering. Parkinson’s disease (PD) is the second most common neurodegenerative disorder after Alzheimer’s disease. It is a chronic, progressive degenerative disease which is characterized by both motor and nonmotor symptoms. The disease was first described as “shaking palsy” by Dr. James Parkinson in 1817. The prevalence of PD is reported to be approximately 1-2% in people above the age of 65 years and 4-5% in people above 85 years of age. About 0.3% of the general population is affected, and the prevalence is higher among men than women, with a ratio of 3:2. This World Parkinson’s Day, Dr. Rajesh Garg, Director and HOD, Department of Neurology, Fortis Hospital Shalimar Bagh shares insights about the causes, symptoms, diagnosis, and treatment of Parkinson’s disease. The exact cause of PD is unknown but it is assumed to be the result of a combination of environmental factors and genetic predisposition. As PD is characterized by motor features such as shaking of the body and slowness in the physical movements, it is also believed to be caused due to a deficiency of a chemical called ‘dopamine’ in the nervous system. The chemical is produced by substantia nigra, a part of the brain, which is responsible for the smooth and coordinated movements of the muscles in the body. However, in many research studies, the causation of this neurological disorder is attributed to be multifactorial and consists of an interaction between environmental factors and genetic predisposition. Genetic factors: The vast majority of cases of PD are not inherited directly. It is reported that of all the patients with PD, around 10-16% have a family history or relative (first-degree or second-degree) with the disease. Moreover, people with an affected first-degree relative such as a sibling or a parent with the disease might have twice the risk of PD as compared to the general population. Although Parkinson’s disease mostly occurs after the age of 65, it can also affect people in their 30s and 40s. Environmental Factors: Several studies have reported that the use and exposure to herbicides and pesticides such as rotenone can cause neurological damage, which in turn can up the risk of Parkinson’s in old age. Exposure to heavy metals such as manganese, lead and copper and industrial solvents can increase the risk of PD. Moreover, a rural environment also ups the risk of PD because of the consumption of well water loaded with heavy metals and exposure to pesticides and chemicals as a result of farming. Furthermore, there are certain medications which can cause PD like symptoms. Browse Our Range Of Elderly Care Products To Stay Fit And Healthy As You Age! PD is characterized by both motor and nonmotor features. The term parkinsonism is used to describe the motor features of PD which include bradykinesia, muscular rigidity, resting tremor and postural and gait impairment. The nonmotor features associated with PD include pathophysiological changes that can start before the onset of motor features which include sleep disorders, depression, and cognitive changes. Bradykinesia: It refers to slowness of movements with a progressive loss of speed when performing rapid alternating movements such as opening and closing of the hand, tapping with fingers, standing up from a chair or walking. Other symptoms of bradykinesia include hypomimia (decreased facial expression), hypophonia (soft voice) and trouble in swallowing. Resting tremors: It is a rhythmic oscillatory involuntary movement that occurs when the affected body part is relaxed and supported by a surface. Tremor can be present in the hands, fingers, lower limbs, jaw, and tongue. A distinguishing tremor that occurs in this disorder is that of a pill-rolling. In this, there is a simultaneous rubbing of the thumb and index fingers against each other. Muscular rigidity: It refers to a stiffness of the muscles which is experienced on passive movement of the affected limbs or neck. Postural and gait impairment: It causes patients to adopt a stooped posture due to loss of postural reflexes. There is a decreased arm swing and turning around is also slow. It can also cause freezing of gait causing the patient to be in a stooped posture for some time. If the patient suffers from cognitive impairment, it can further cause difficulty in walking and turning. Sometimes, the patient is even unable to maintain the balance while walking and is prone to fall. Neurological symptoms such as anxiety, mood disorders, depression, hallucinations, dementia, apathy, delusions, etc. Dysautonomia which includes dysfunction of the nerves that control involuntary body functions. It causes symptoms such as low blood pressure, sexual dysfunction, constipation, urinary incontinence, excessive sweating, drooling, etc. Sensory dysfunction such as decreased ability to smell and visual contrast (differentiate colors) and tingling sensation. One should always keep in mind that because of the long-term progression of the disease, some of the nonmotor symptoms such as constipation, rapid eye movement and depression can be present before any of the classical motor signs appear. Not all of the motor symptoms might be observed in every patient, at least in a given time frame. Also, the presence of symptoms or its severity may fluctuate or worsen as the disease progresses over a period of time. 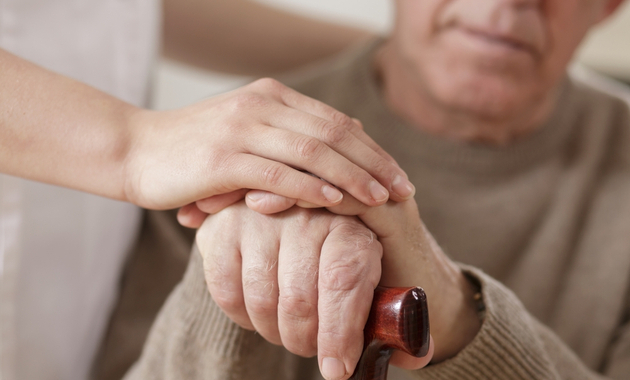 In order to diagnose Parkinson’s disease, your doctor might go through a clinical history of the person followed by a comprehensive physical and neurological examination. Your doctor might recommend magnetic resonance imaging (MRI) test of the brain to check for abnormalities such as cerebrovascular diseases, space occupying lesion and pressure in the brain. A positron-emission tomography (PET) or single-photon emission computerized tomography (SPECT) scan can be considered in atypical cases of PD. There are several medicines that can help manage the symptoms of Parkinson’s disease and slow down the progression of the disease to improve the quality of life of the patient. In addition to medicines, therapies such as speech therapy, occupational therapy, and physical therapy are also required to improve motor function. Exercise and good dietary habits are essential to improve the quality of life of a patient with Parkinson’s disease. In the advanced stage of PD, the patient may benefit from surgery known as DBS (Deep Brain Stimulation), apomorphine injection or LCIG (Levodopa-carbidopa intestinal gel). Depending upon the severity of the disease, your doctor might recommend the proper treatment approach. The role of a caregiver is also critical when it comes to treating a person with PD. It is important for a caregiver to understand the disease and its consequences in detail, keep a close eye on the treatment process and engage the patient in activities to improve mental health. Also, it is the responsibility of the caregiver to see that the comfort of the patient is the priority when it comes to treatment and management of the disease and it should not be compromised at any cost. It’s important to strictly follow the medication regimen as advised by the doctor with a special consideration on the timing of medication administration as not adhering to it may lead to worsening of symptoms.. While Parkinson’s disease has no cure, with proper treatment the symptoms can be managed and the quality of life can be improved. As the onset and progression of PD is extremely slow, it is important to check out the symptoms and know the right diagnosis. When on treatment, it is advised to remain alert for any signs related to worsening of the condition. Always follow your doctor’s instructions to lead a better life with PD. 1. Gupta V, Garg RK, Pant KK, Khattri S. A study on risk factors for Parkinson׳s disease in the Indian population. Bioinformation. 2014 Jun 30;10(6):342-6. 2. Rizek P, Kumar N, Jog MS. An update on the diagnosis and treatment of Parkinson disease. CMAJ. 2016 Nov 1;188(16):1157-1165. 3. Surathi P, Jhunjhunwala K, Yadav R, Pal PK. Research in Parkinson’s disease in India: A review. Ann Indian Acad Neurol. 2016 Jan-Mar;19(1):9-20. 4. Massano J, Bhatia KP. Clinical approach to Parkinson’s disease: features, diagnosis, and principles of management. Cold Spring Harb Perspect Med. 2012 Jun;2(6):a008870. How to avoid constipation during travel?